White Lodge in Richmond Park is the home to our school for students aged 11-16. Full-time classical ballet training runs alongside the students' regular academic classes, which later includes GCSE preparation and examination. 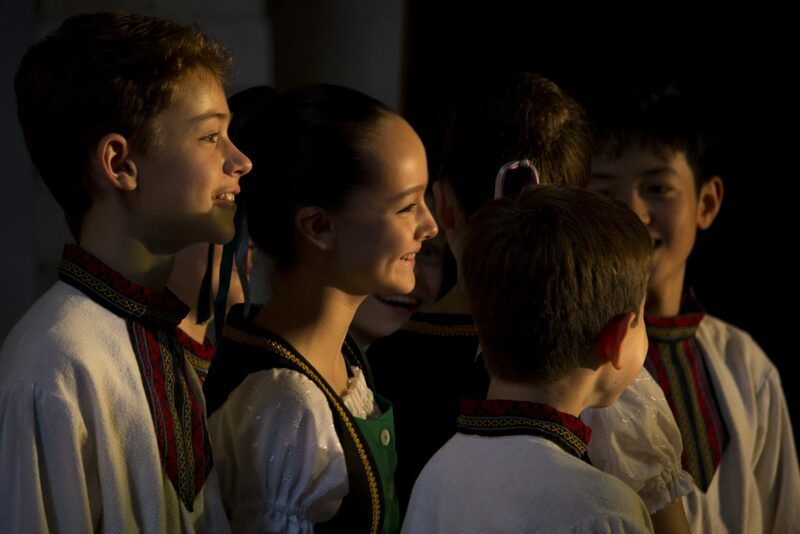 Admission to is based on artistic talent and potential, regardless of academic ability and approximately 125 girls and boys attend The Royal Ballet School at White Lodge. In Year 11, dancers are invited to audition for the Upper School and the opportunity to continue their preparation for a career in classical ballet. In addition to artistic excellence, our students achieve well above the national average in their academic results. In the academic year 2015/16, 98% of our students' GCSE results were at A*-C, with the national average being 66.9%. White Lodge students live in boarding houses in the grounds of White Lodge, or at home, only if the School agrees that a student lives close enough to commute. They live in dormitories separated gender and year group. 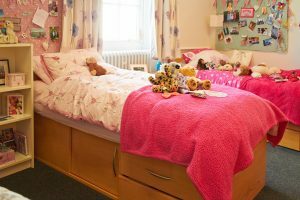 As expected in a boarding school, mealtimes and bed times are regulated during the week but there is more flexibility at weekends, when students also have a chance to relax at home or take part in activities and outings organised by staff. The weekday routine at White Lodge begins with a 7am wake-up call, followed by breakfast, all in time to start class at 8.30am. From then until 4pm, each student completes four hours of academic lessons and two hours of ballet class. In the late afternoon there may be more dance classes, rehearsals or free time before supper. They then do one hour of supervised homework at 7.15pm before bed. 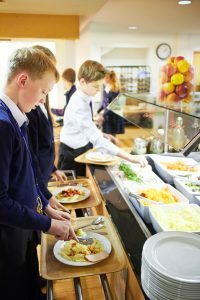 Mealtimes are held in the dining hall and are an important part of the day, allowing time for students to relax, socialise and refuel. The study of classical ballet is central to a Royal Ballet School student's education, the level of which steadily builds as a child progresses through the school. On Saturday mornings, all students are involved in dance classes and rehearsals for future performances. In Year 11 students are invited to audition for a place at the Upper School, to continue their pre-professional training upon leaving White Lodge. In many ways, The Royal Ballet School is like a regular secondary school. In Years 7-9, students follow an academic programme which includes English, Maths, Science, Languages, Humanities and the Arts. In Year 10, work begins towards GCSE preparation and coursework, with final GCSE examinations in the summer of Year 11. Often our White Lodge students are selected to perform the children's roles in The Royal Ballet's The Nutcracker, dancing parts once played by alumni who now perform the principal roles in the company.